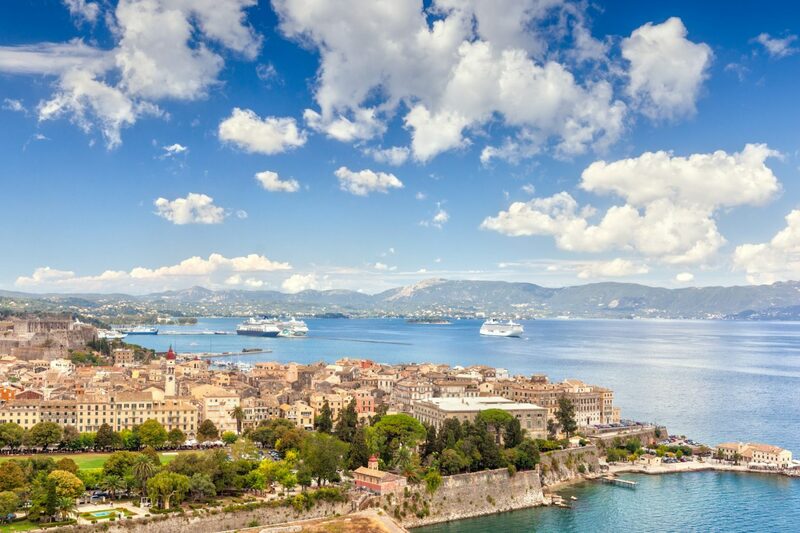 Known as the jewel of the Ionian islands, Corfu remains among the most popular tourist destinations of Greece. The island was ruled by Venetian nobility for three centuries, a period reflected in the architecture of its capital. For this unique architecture amalgam, the old town of Corfou was added in the World’s Heritage List of Unesco in 2007. Consisting of a labyrinth of narrow streets, known as kantoúnia, the town reveals some of the most beautiful mansions of the Greek and European aristocracy. The cathedral, the church dedicated to Our Lady of the Cave and Saint Spyridon church stand out among thirty-seven beautiful churches of the town. The famous Liston, with its four-storey arcaded houses, inspired by Paris’ rue de Rivoli, is popular for its see-and be seen cafes and bistros. 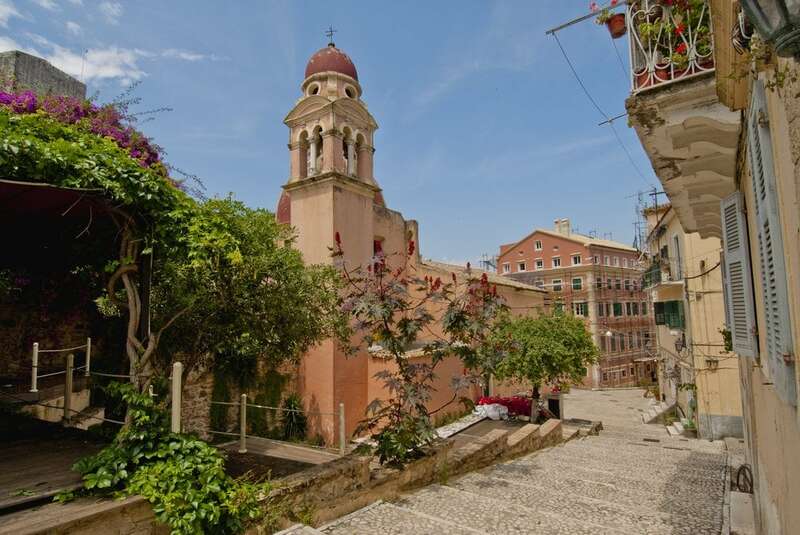 The old Venetian fortress, built on the rocky peninsula in front of the old town, offers breath taking panoramic views. 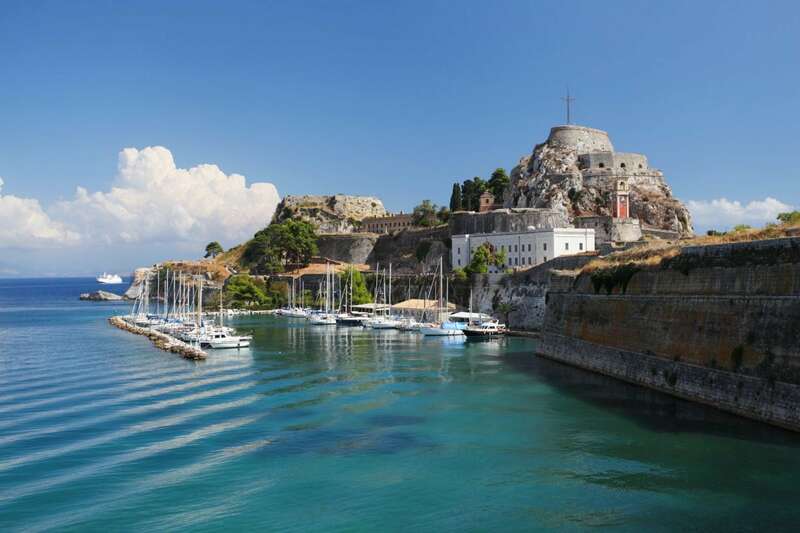 Among the island greatest attractions, Achilleion, a summer villa built for Empress Elisabeth of Austria, with a unique decoration, beautiful garden and amazing panoramic views, is located at 10km from the old town. 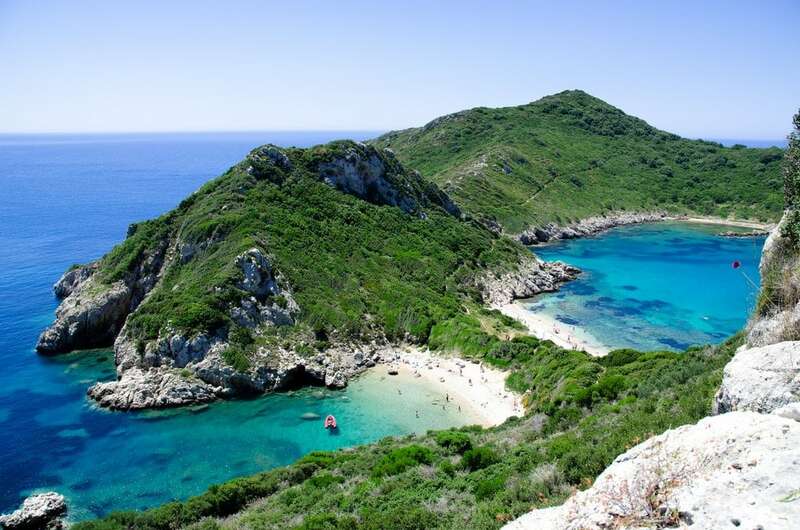 Corfu’s coastline spans 217km including some of the most beautiful beaches. Paleokastritsa, a beautiful bay with the homonymous monastery, Benitses a typical fishing village and seaside resort, Dasia and Ipsos, two of the biggest resorts, ideal for watersports.